Professor Lucio Rodrigues is another one in a long line of literary geniuses that Goa has produced. He may have long departed this world but nevertheless his legacy of literature lives on through his writing and his students. An authority on Goan folklore, Prof Lucio Rodrigues was not only a visiting professor of folklore at the Indiana University, USA in 1969; his essays in English, as well as those translated from Konkani, were published as Of Soil and Soul and Konkani Folktales after his death in 1973. 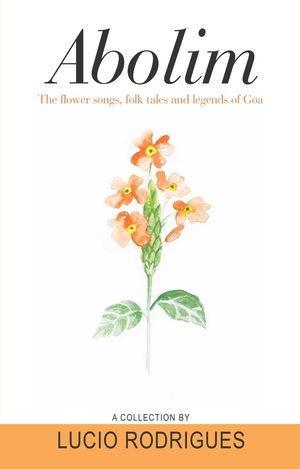 It was the revised edition of this compilation, renamed Ambolim, which was released at the commemoration of this exceptional son of Goa’s birth centenary (15th April, 2015) at the Xavier Centre of Historical Research, Porvorim. Professor Lucio Rodrigues was exactly the type of teacher students would recall with awe and affection for the profound impact he had on their lives. He had a an expansive career as a professor of English Literature at Ramnarain Ruia College, Siddharth College, Sophia College, Elphinstone College in Mumbai and the Karnatak College in Dharwar. 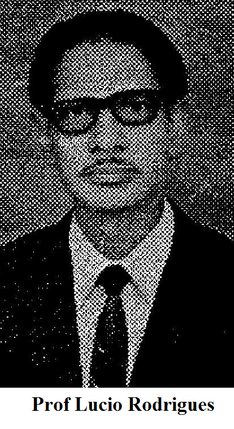 In his later years, he became the head of the Department of English Literature at Dhempe College, Panaji. A prolific essayist, he contributed to various newspapers and magazines such as The Navhind Times, The Times of India, Goa Today and others too. Memories of Prof Lucio Rodrigues were shared by Dr Maria Aurora Couto, of how her first impression of the man, who was noted for his suave style of dressing, was one of encountering a dashing personality akin to the likes of Errol Flynn and Cesar Romero. She was but 14 years of age at the time and the impact was profound to say the least. She jocularly referred to him as a ‘combo’ (a ladies’ man in Konkani). She said, ‘I think it would be no exaggeration to say that most of the young girls who were his students were half in love with him,’ in reference to his charismatic personality. ‘I did not know him as a teacher but as a conductor, who rolled up his sleeves, abandoned his wit and charm and became a meticulous creator of glorious sound,’ she said, recalling her inclusion in his madrigals choir in Dharwar, the only school going youngster among college students and the faculty. When she met him in 1963, however, gone was the sharkskin suit, the bow tie, the polished shoes and the slicked-back hair. Professor Lucio Rodrigues had transformed into a Congressman, garbed in khadi, sadder but wiser in the aftermath of Goa’s liberation and the ensuing power struggles. She attempted to reconcile her adulation of Professor Lucio Rodrigues with the fact that he had become her colleague, and at the same time was dismayed at her perception of the somewhat partial demise of the passion that had once prevailed in him. Dr Maria Aurora Couto was pleased that his ideas and writings would find a place in the minds of future generations of Goans. Professor Ramola Antao was one of the first batch of students at Dhempe College and she expressed her gratitude to Professor Lucio Rodrigues for his relentless pursuit of instilling a love of Konkani in her and valuing her Goan roots. A professor of English Literature herself, Professor Ramola Antao was unable to develop a deep connection with any one place as her father, an army officer, kept relocating to new sites. This led to an aversion to regional languages because it was so difficult to keep learning a new language every time they moved. Now she has learned Konkani, albeit a mixture of dialects, and has completely grounded herself in Goa to the extent that her children do not want to leave the place. ‘I still remember how comfortable he used to be in the classroom, just walking around the students. Even in the big compulsory (English) classrooms he would suddenly sit on a student’s desk and talk to us from there. But it was in our English honours class that he brought whatever he taught to life,’ said Professor Ramola Antao of the man who inspired her to read Dreiser despite her disinclination towards reading naturalistic works. When she became a fellow of the college, he did not exploit her subordinate position. Instead he allowed her to take some of his classes when she was still studying for her master’s degree and this proved to be an advantage in her teaching career. Though he had a brief professional relationship with Professor Lucio Rodrigues, Professor Rabin Pinto fondly remembered him as the kindly gentleman who put him at ease on his first day lecturing at Dhempe College by speaking in Konkani. Professor Rabin Pinto quoted Maya Angelou, saying, ‘I've learned that people will forget what you said, people will forget what you did, but people will never forget how you made them feel.’ Professor Lucio treated him as one of his family and this familial feeling gave him the motivation he needed. ‘I haven’t forgotten 43 years thereafter!’ said Professor Rabin Pinto. Professor Isabel Santa Rita Vás extolled Professor Lucio Rodrigues’ knowledge of Goa and its people. She particularly commended the compilation of Goa’s folktales which would otherwise be lost to us. An academically accomplished personage as Professor Lucio Rodrigues was, he was humble, and he loved his land and all it encompassed. These are qualities that will keep his spirit alive for generations to come through his written work as well as the fond memories that are held of him. Prof Lucio Rodrigues... talking on Goan folk music in the US (1960s). Uploaded by Frederick Noronha (2011).